The MD2-S is designed for high precision single crystal diffraction on Synchrotron MX beamlines. The MD2-S achieves 1 µm Sphere of Confusion and ±2 mdeg dynamic precision. The MD2-S reaches a 1 µm sphere of confusion (radius, @ 100 deg/s, with a SmartMagnet sample holder mounted on the Ω-axis) with an excellent repeatability and reliability. This micrometer SOC is achieved by an optimized design combining high precision components with a support structure preventing parasitic vibrations and deformations. The MD2-S has a high accuracy which is perfectly suited for single crystal X-ray diffractometry and advanced data collection strategies. The MD2-S reaches a static precision of ± 0.5 mdeg and an excellent dynamic precision of ±2 mdeg for its Ω-axis (@ 10 deg/s rotation speed, with a SmartMagnet sample holder mounted on the Ω-axis). This synchrotron diffractometer integrates ARINAX well-known On-Axis Video microscope (OAV) with an optical axis along the x-ray beam path. The resulting parallax-free image is delivered at high spatial resolution (350 350 nm² per pixel) and excellent contrast. The outstanding in situ sample imaging is possible thanks to the unique objective design, developed by the European Molecular Biology Laboratory (EMBL). The MD2-S software is able to coordinate simultaneously multi-axe movements, the prerequisite for advanced x-ray data collection strategies using grid scans, helical scans or serial crystallography. The control software supports all of these scanning techniques on different levels. This synchrotron diffractometer is compatible with numerous trigger modes to synchronize the different motor positions with the x-ray detector. 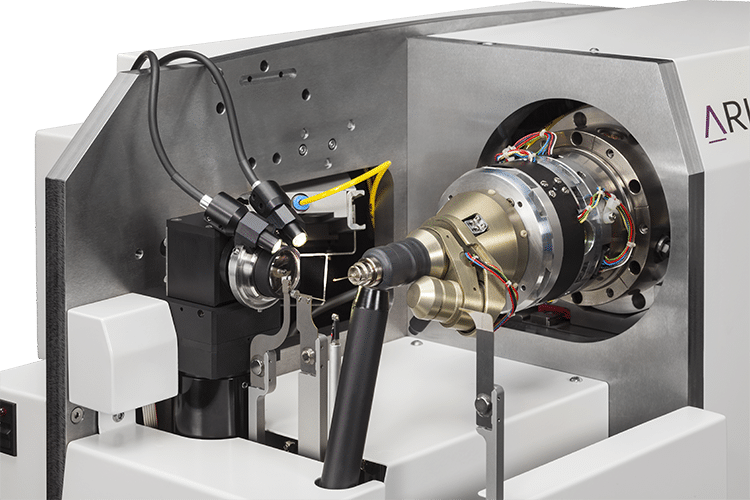 The MD2-S diffractometer provides continuously the exact sample position & orientation to the detector which then, are filed for each diffraction image taken by the detector. The MD2-S integrates a movable beamstop which is optimally suited for single crystal diffraction with a minimum/maximum sample-to-beamstop distance of 8 mm/60 mm. The movable beamstop is also useful for in situ crystallography with 96-well plates. 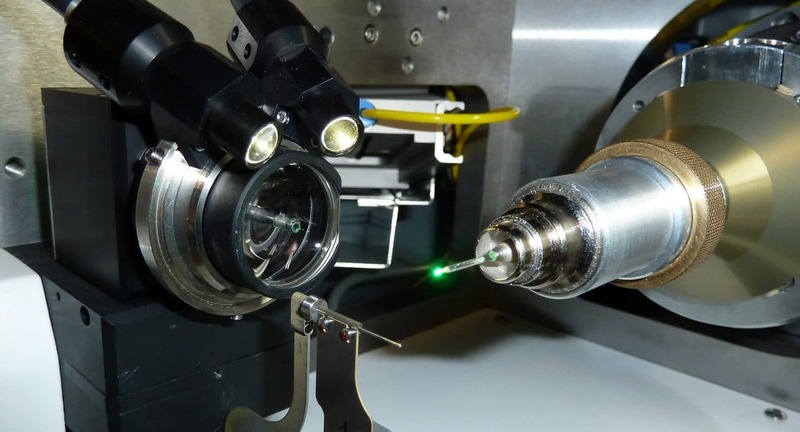 – The Mini-Kappa, MK3, is a multi-axis goniometer head that provides two additional axes of rotation, called « kappa » and « phi », for advanced crystal alignment strategies (Brockhauser, 2013). – The Plate Manipulator is a motorized 96-well plate holder mounted on the Ω-axis. This goniometer head gives access to high accuracy in situ crystallography. To offer the best flexibility to users, the SmartMagnet, the Mini-Kappa and the Plate Manipulator are designed to be easily mounted and dismounted: switching between these goniometer heads is done within a couple of minutes and no trained personnel is necessary. For over 12 years Arinax has developed strong competences in beamline integration. 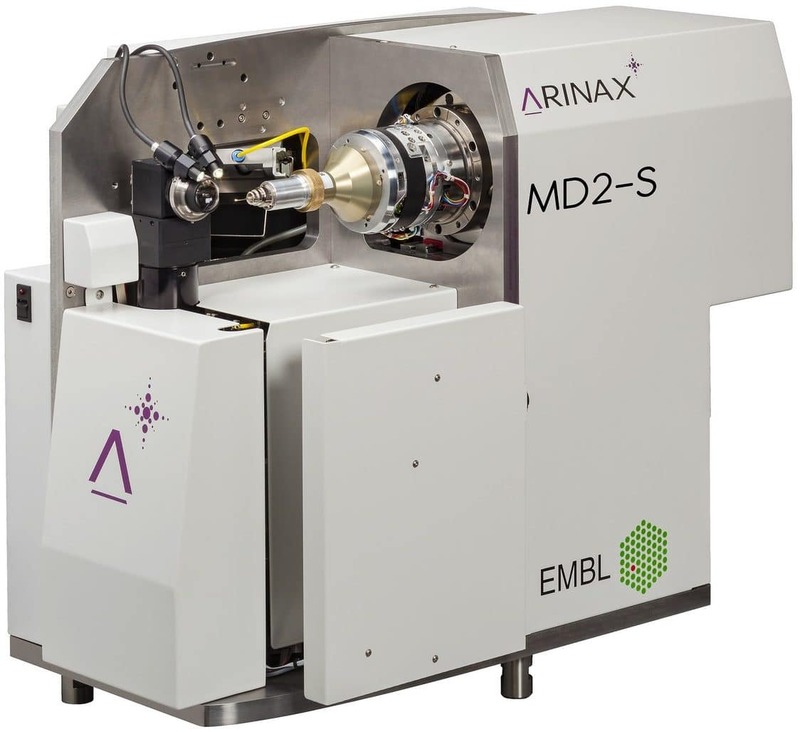 Thanks to its expertise Arinax can entirely integrate the MD2-S into beamline specific software like MXCube or Blu-Ice.The MD2-S software supports different multi-device servers: TINE, TANGO and EPICS. ARINAX supplies interface electronics for the communication with sample changer robots from IRELEC-ALCEN.